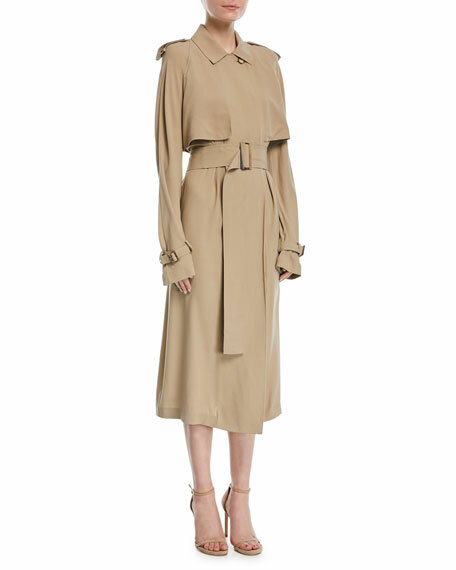 Michael Kors Collection trench dress. 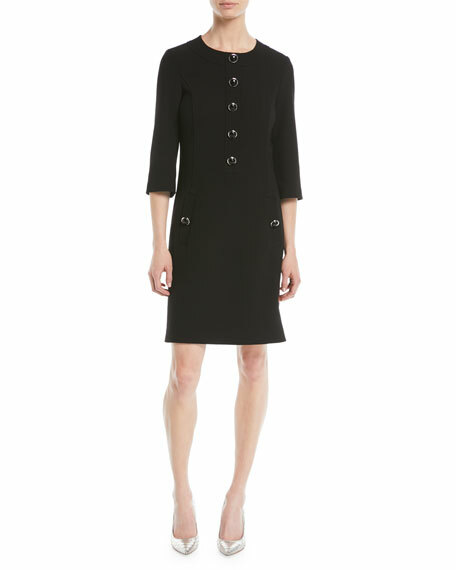 Spread collar; button front; back rain flap. 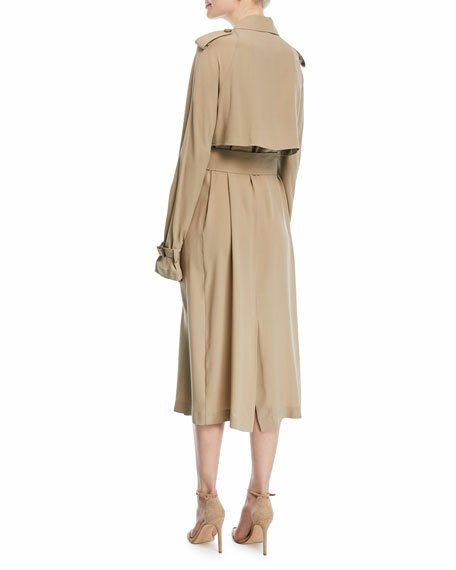 Long sleeves; tabbed shoulders and cuffs. For in-store inquiries, use sku #2467476.